View south-southwest. 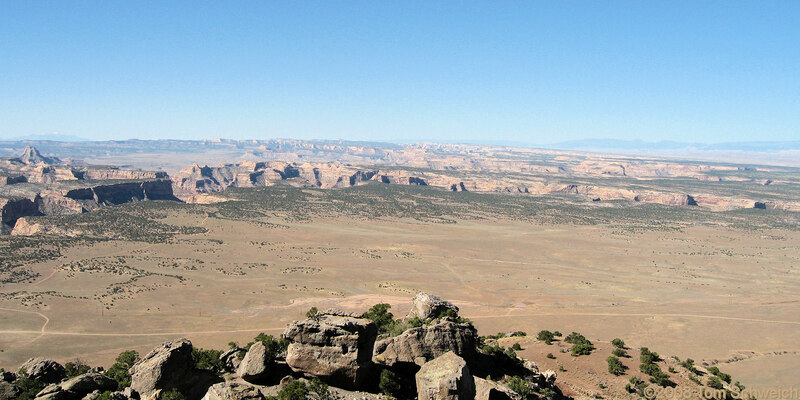 The canyon in the middleground contains the San Rafael River, crossing from west to east, right to left. Emery County Route 206 (EM206), Emery County Utah: at Overlook.